The island is not only scattered with various resorts, but also restaurants/cafes/food stalls that sell a variety of food. 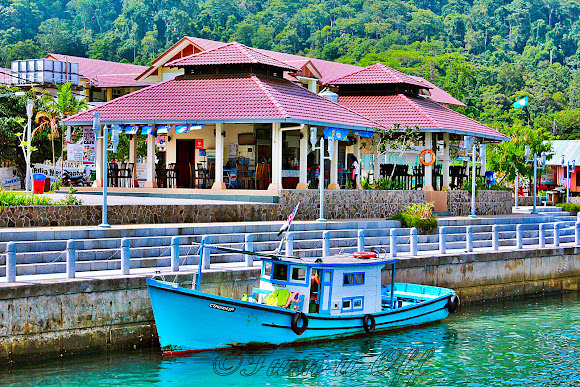 Malay food is overwhelmingly the main cuisine in Tioman, reflecting the island's demographics. Well, I don't remember the names of all the restaurants/cafes/food stalls we went to and the exact prices of our dishes, but overall, the food was really delicious! 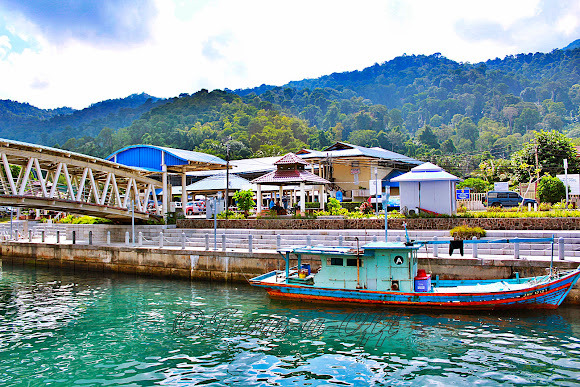 However, I found the popularity of Tioman Island as a tourist destination has caused the cost of dining in restaurants to skyrocket through the roof, which is ludicrous considering that Tioman is a countryside village surrounded by bounty from the sea! #3 Close to the Tekek Village jetty, there were several Malay food stalls could be found selling mostly local dishes. There was a Chinese seafood restaurant called "Chinese Sarang Seafood" located near to the place we stayed. I was told this is the cheapest Chinese restaurant (which is still nowhere, what you would consider reasonable back on the mainland) in Tioman. #10 Judging from the crowd, the food stall opposite the jetty was definitely a clear favorite. Some of the chalets and resorts also provide breakfast, so if it's free flow of coffee and toast, then by all means, feast on it. #27 My favorite treat was eating breakfast overlooking the infinity of blue sea! There's nothing more spectacular than that. =-O =-O =-O =-O =-O New header! First thing first.... I LOVE the new header dearie.. well done.. and it is sooo you! Secondly the pictures are awesome.. am hungry just looking at those food...lol! first of all... I love your shots.. you have captured every single details and it's very clear to me yay! I want to try Malay food! :D I know what you mean about prices being high on places with good tourism, it's not fair really..
Just a quick note to repeat Tioman visitors, or those wishing to go there in the future. Since we go to Tioman quite regularly, we're seeing more and more travellers, especially from overseas, arriving at the Mersing jetty too late to catch their ferry, because it's full. All this rhas esulted in a higher chance of passengers left stranded during the busy holiday spells and weekends.